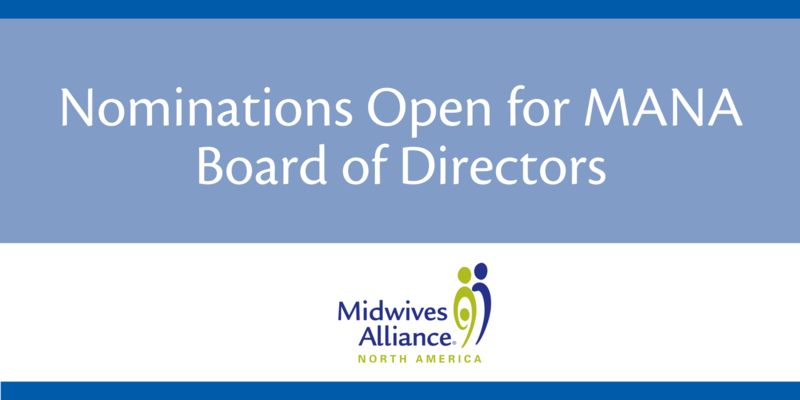 MANA is accepting nominations for the Board of Directors as of September first. This is your opportunity to not only make sure your opinion is heard, but to make sure your work has an effect that reaches far beyond your immediate community. This year, the positions available are Vice President, Treasurer, and Director of Events. Nominees must be Voting Members of MANA, non-profit board experience is helpful but not required, and the ability to make a commitment of time and expertise is essential. Basic computer skills and access to the internet is a must. Submit your nominations here. The Vice President, in addition to being able to take over for the president if needed, assists the President with strategic planning and systems coordination and is responsible for communication between the board and membership. The VP runs the Membership Advisory Council online meetings, and is the first to see email coming into contact_at_mana_dot_org. All committees and sections are coordinated by the VP as well as communications with entities internal and external to the organization. Sarita says the best part of the job is working with so many dynamic women leaders. Prior experience on the MANA board in any capacity is highly recommended. The Treasurer has financial knowledge of the entire organization and needs accounting abilities to prepare and manage budgets and grant funds and maintain financial records. Must be willing to learn enough about non-profit tax structure to be able to work with a CPA to take care of taxes and audits. Vicki’s favorite part of the job was being involved in all aspects of the organization. Bring your commitment, and we will provide training and guidance. The Director of Events coordinates all the elements of the annual conference and other meetings and events. The best candidates for this position are friendly, bright, good multi-taskers who can manage groups easily and oversee merchandising. Nicole describes it as being at the helm of one of MANA’s biggest cornerstones, where midwives come together for education and to celebrate. Her favorite part of the job is how fun it is! Previous experience overseeing a conference or event is a plus.